Everyone who has lived and worked in Africa has wonderful tales of adventure to tell over the dinner table. 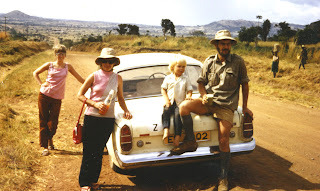 Barbara and I lived in Chingola, Zambia, for 4 years, and my dinner party story is of an eventful six days in Tanzania, which began exactly 40 years ago today. 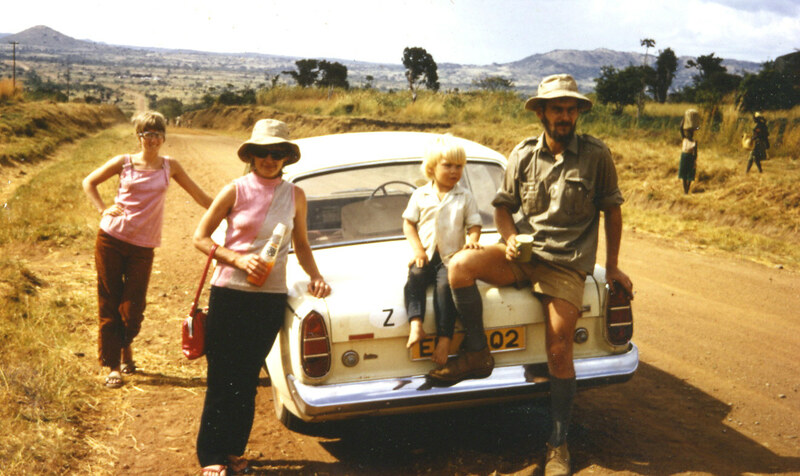 We were on safari in East Africa, having driven from Chingola into Tanzania, with fellow metallurgist Vic Bryant, his wife Jo, and young son Andrew. The first 10 days had been relatively uneventful, apart from many punctures and minor repairs to the cars, due to the atrocious roads. We had visited Lake Manyara, Ngorongoro Crater, and on Monday 28th June 1971 left our camp site in the Serengeti to head for Uganda on little used roads. The first part of the journey was a 275 km drive through a rarely visited stretch of the Serengeti and turned out to be the most perilous part of the whole journey. The first section was on an almost impassable, heavily-rutted track, in parts almost covered by the dense grass of the savannah. It was obvious that this road was suited only to 4-wheel drives, had not been used for some time, and a breakdown here would leave us in a very serious situation. We had seen many lions, some even crossing our path, and the reason why soon became apparent, with the awesome spectacle of huge herds of migrating wildebeest, the weak and sickly providing easy pickings for the prowling carnivores. We felt particularly exposed and vulnerable when my car became stuck in the ruts, and Vic and I had to fit a tow rope between the cars to haul me out. To our immense relief, after 135 km the track opened up into a very respectable dirt road, and, apart from a further puncture, we arrived in Mwanza in the early afternoon, and spent a very pleasant afternoon and evening on the shores of Lake Victoria, Africa’s largest lake, the source of the fabled White Nile. It was time to really relax now. The awful Tanzanian roads were behind us, and we could look forward to next day’s serene ferry trip across the lake, which would take us to Bukoba, and then Uganda beckoned. We sipped our gin and tonics on the terrace of the Lake Hotel, watched the sun go down over the lake, and proposed toasts to the success of the next part of our journey, the easy part. The cars were loaded onto the large ferry the following morning, and we eventually left Mwanza at midday for the scheduled 7 hour crossing to Bukoba. When we eventually left the ferry, however, it was past 10pm, as the local police had come on board to search the boat for an escaped prisoner. It was much too late to pitch camp, so we set off along a good tarred road hoping to find a local hotel. The road seemed very remote and deserted and was completely devoid of lighting. Not for long though; suddenly there was light everywhere, and in the harsh glare of floodlights we were surrounded by soldiers waving assault rifles in a very threatening way. In true Hollywood fashion, Vic and I left the cars with hands held aloft and a feeling of complete impotence in the presence of these increasingly agitated soldiers barking commands in Swahili. I am not sure what would have happened to us if our plight had been ignored by a local man, a friendly Sikh, who had been following us at a discreet distance. He acted as interpreter and explained that we had strayed into a prohibited area, although there had been no warnings or barriers. After some discussion, we were informed that we must report to immigration the following day, and he then kindly escorted us to the Coffee Tree Inn, where we spent a restless night in very poor accommodation. Early next morning we presented ourselves at immigration, and after seemingly endless checking of passports we were told that we must report to the local police station. Here we had to complete lengthy statements of our life history from birth but after nearly five hours we were finally allowed to leave. Our friendly Samaritan had advised us the previous evening that there was much tension on the nearby border due to the seizing of control of Uganda only a few months earlier by General Idi Amin. He intimated that it was probably unwise to cross the border at this time, so abandoning our plans to visit Murchison Falls and the Ruwenzori mountains we headed back to Mwanza, setting off southwards along the western bank of the lake, on the all too-familiar rutted dirt roads. We had covered over 160 km when a dark object became visible on the road ahead. As we approached it became evident that this was a stationary police Land Rover, headlights full on, straddling the centre of the road, with two uniformed policemen ominously waving us down. They escorted us to the police station at nearby Biharamulo where we were told that they had been notified by radio of our ‘escape’ from Bukoba, and that, as we were under suspicion of spying for Uganda, must return under guard. It was with very low spirits that we made the return trip, the bumpy road seeming much more treacherous this time by the presence of a gun-toting policeman in the back seat of each car. We eventually reached Bukoba late evening, and, after waking up our two sleeping escorts, reported once more to the local C.I.D. Thankfully Barbara, Jo and Andrew were allowed to leave for a local hotel, while Vic and I were detained for further questioning. We were searched, our shoes and socks removed, and then we spent a very cold night, wearing only shorts and tee-shirts, in a small, filthy cell, swarming with mosquitoes and small lake flies. We spent the whole of the next morning in the cell, with no food or water. Shortly after midday we left for further questioning and more written statements, which included meaningless questions such as ‘who do you know?’, ‘who knows you?’ and ‘how many bicycles do you own?’ The cars were thoroughly searched for firearms and eventually, in late afternoon, they were satisfied that we hadn’t been engaged in nefarious activities, and we were released. After long hot baths, we spent a pleasant evening with the friendly Sikh and learned that he, and the equally friendly Lake Hotel staff, had helped Barbara and Jo contact the British Consul in Dar es Salaam, who had played a critical role in our early release. The next morning it was back on the dusty 420 km road to Mwanza again. As we left Biharamulo behind, the feeling of relief was palpable, but unfortunately it was short-lived. Before the days of fuel-injection, cars were sometimes prone to vapour-locks at high speeds and temperatures, when the petrol changes from liquid to gas while still in the fuel delivery system. 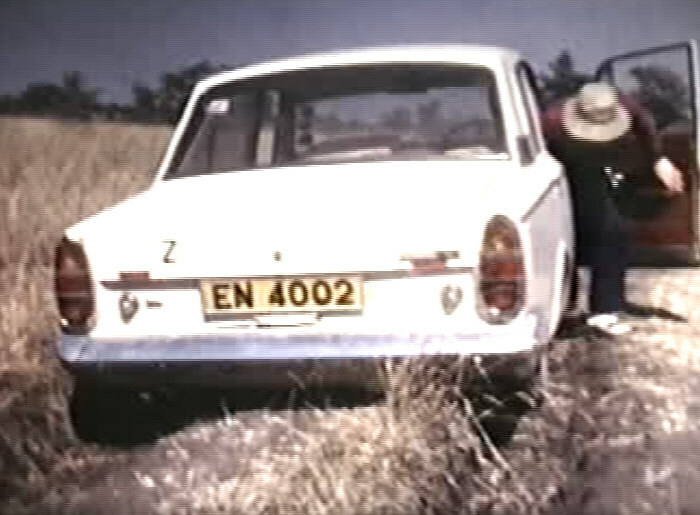 My Ford Corsair was particularly susceptible, and had been intermittently causing problems since leaving Chingola. Somewhere between Biharamulo and Mwanza it became more serious, and the engine cut out altogether. We knew that if we waited an hour or so the engine would cool, and would start again, but we were eager to reach Mwanza before dark, so agreed that Vic should provide a tow for a few miles. To be towed at 70 km/h on a good tarmac road is a stressful and unpleasant experience, but on a deeply rutted dirt road it is a nightmare. Within seconds of setting off it became apparent that this was a futile exercise; Vic’s car, and the road immediately ahead, became shrouded in a pall of red dust and all attempts to alert him by headlights and horn were to no avail. I glanced over at Barbara, who was looking pale, and to my horror saw another face staring at me from the side window. It was only there for a moment, but was instantly recognisable as an equally horror-struck Vic! 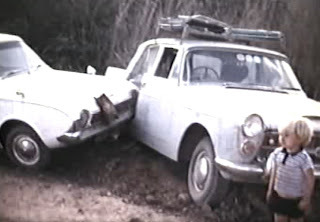 In a sudden blur the car lurched to the left, there were sounds of metal on metal, and both cars ended up locked together in the shallow ditch bordering the road! Obviously Vic had heeded my signal and had slowed down. Unaware of this I had somehow overtaken him until the tow-rope caught in my front nearside wheel and caused the coming together. Fortunately no one was hurt, and the damage to the cars was confined only to the bodywork. We managed to manoeuvre Vic’s car back onto the road, and then towing my car this time at a gentle crawl we reached a small car ferry which took us across a narrow southern creek of the lake, and eventually arrived in Mwanza late evening. Once again we sat on the terrace of the Lake Hotel, where we had proposed toasts to our journey only four nights previously, although it seemed a lifetime ago. Covered in mosquito and tsetse fly bites we weakly raised our glasses to the next day’s drive to Kenya and pondered on what could go wrong next! The Kenyan border was 300 km away, and we left Mwanza in the early afternoon, after repairs to my car’s fuel system and battery. The road to the border was on the familiar road surface, which we were well used to by now, and, apart from two punctures and a couple of stops due to vapour locks, we arrived without incident as the sun was setting in our rear mirrors. We were dismayed to hear that the Kenyan immigration officer had already left for the day, but the friendly man in charge telephoned him, and the official graciously agreed to return and look after us. Eventually a car appeared in the distance, followed by a huge cloud of red dust. We watched it climb the winding road towards the border post and then suddenly, to our horror, it rolled and somersaulted in a mass of dust and the driver staggered out of his vehicle. He then nonchalantly walked up to the border post, displaying a very badly injured left ear, introduced himself as the immigration officer, stamped our passports and wished us a safe journey! I know a few lucky folk decided to stay on over the weekend after last week's MEI Conferences. Today has been glorious, with temperatures in the mid-20s. It would be interesting to know how those who remained in Cornwall, or elsewhere in UK, spent their Sunday. Below is the scene on Swanpool Beach, Falmouth at 3pm this afternoon. 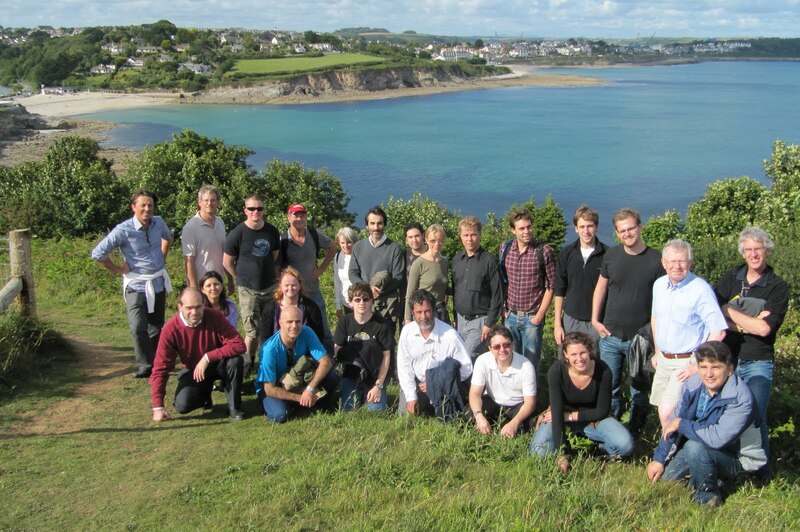 Physical Separation '11 was held in Falmouth, UK from June 23-24, 2011. As always I invite comments from delegates who attended this event. Jon opened the conference this morning, thanking our two sponsors, Industrial Minerals, and International Mining. 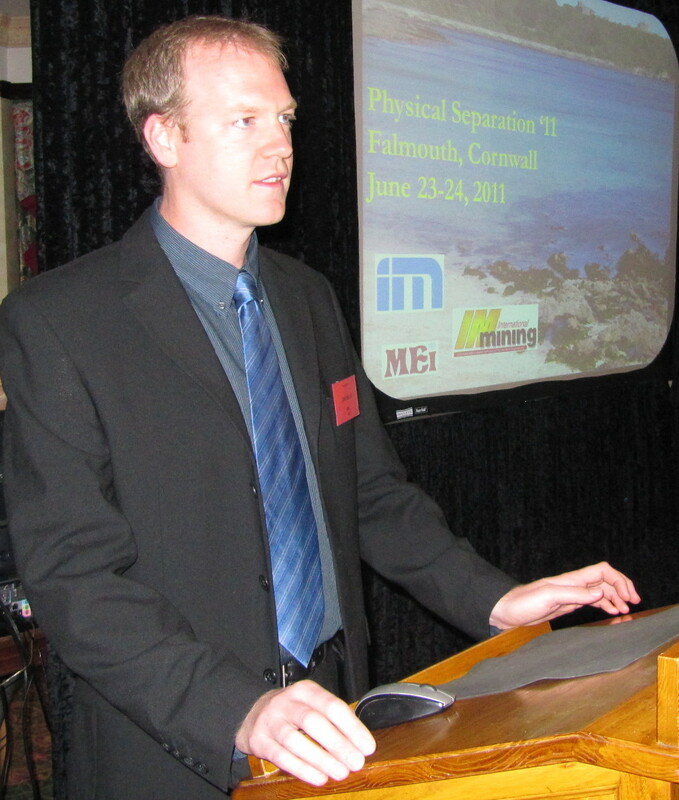 This is the 2nd Physical Separation conference to be held in Falmouth. Two years ago the conference attracted 34 delegates, but this year we have 52 delegates, representing 18 countries: UK (14), 5 from Brazil, and 4 each from South Africa and Germany, 3 each from Netherlands and Australia, 2 each from Austria, Sweden, USA, Vietnam and Canada, and one each from Korea, Finland, Turkey, China, Norway, France and India. Ten of these delegates had also attended Computational Modelling '11 earlier in the week. It was good to see so many new faces at the conference, including 3 representatives from Ferrous Resources, Brazil, a company which is new to MEI conferences. 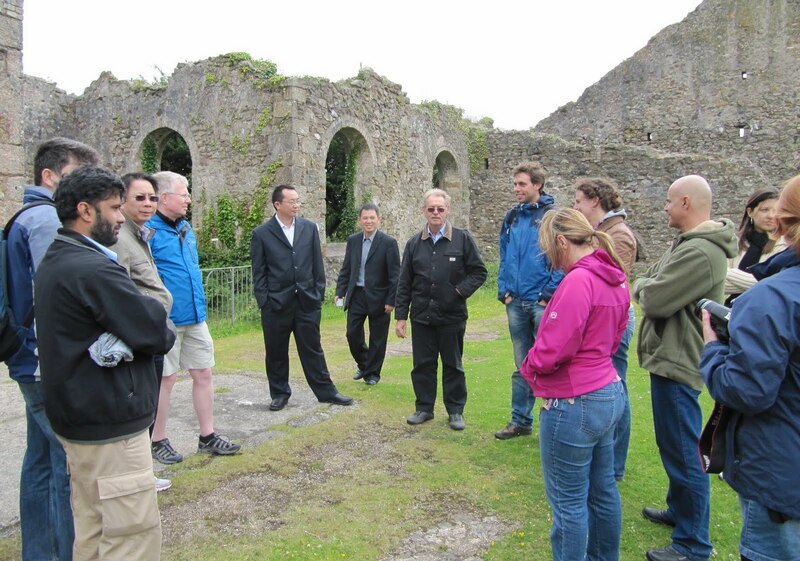 The large UK contingent was also encouraging, although there was no representation from UK academia, and many delegates were surprised and disappointed that there was no one representing the nearby Camborne School of Mines. This was a shame, as the morning's sessions focused on microwave processing, electronic sorting, magnetic and electrostatic separation, areas of particular research interest in UK Universities. One of the presenters, Safak Ozcan, obtained his PhD from Birmingham University in the early 1990's, supervised by my old friend Terry Veasey. He is now a Professor at Istanbul University, Turkey. Some time ago (June 17th 2009) a question was asked on the blog regarding Axsia-Mozley, manufacturer of small cyclones and the Mozley MGS machine. Apparently the MGS is still thriving, particularly in chromite and tin operations in Turkey and Peru. Salter Cyclones is a new company, formed in January, following the closure of the Mozley offices, and is manned by many old 'Mozley faces' who will be well known to many in this field, Paul Salter, Geoff Childs, Lynne Emanuel, Ian Daniels and three other ex-Mozley staff. Ian represented the company at the conference and told me of the latest application for the MGS, upgrading Knelson concentrates in a Turkish gold mine. The Mozley company was particularly well known for its small cyclones, and the new company follows on with this tradition, manufacturing assemblies of small diameter polyurethane cyclones. Gravity separation was the theme of the afternoon session, with papers on gravity concentrators, centrifuges, and hydrocyclones. There was a good turnout in the late afternoon for the famous MEI coastal walk, which ended with beers in the MEI 'local' the old Chain Locker pub in Falmouth town. I opened the conference this morning with a 40 minute introduction to the geology and history of copper and tin mining in Cornwall, the background to this afternoon's visit to the historic Camborne-Redruth area. Tin mining in Cornwall eventually ended in the early 1990s, and Claude Bazin, of Laval University, Canada, asked if a revival was likely. An interesting question, as one of our delegates, John Webster, is managing director of Western United Mines, UK, involved with the potential development of a polymetallic mine near Camborne. The full story of this can be found elsewhere (11 February 2011)on the blog. John's particular interest at this conference is sensor-based sorting, and the world market leader in this area is CommodasUltrasort, one of the three companies exhibiting in the coffee break-out area, together with Delkor UK Ltd, and the locally-based Holman-Wilfley Ltd. Delkor is a leading solid/liquid separation supplier, while Holman-Wilfley is the world's recognised supplier of Holman and Wilfley shaking tables. 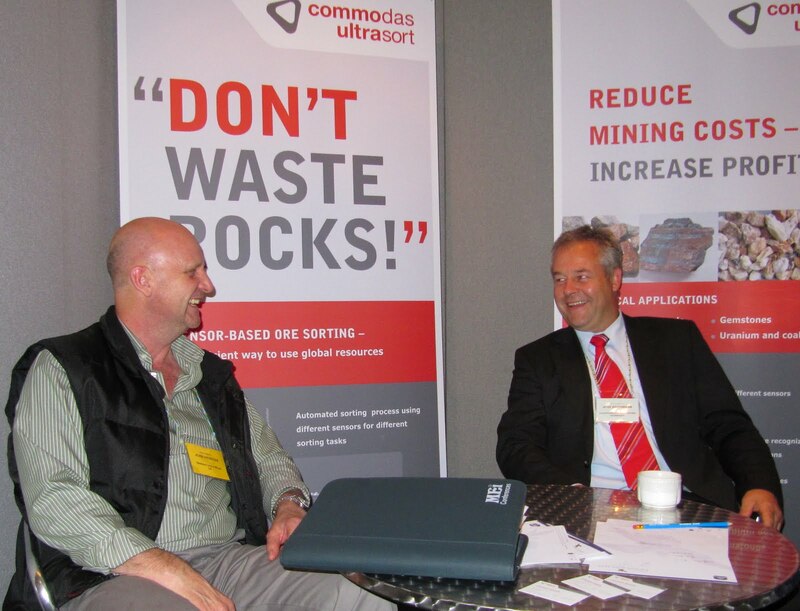 Managing Director Chris Bailey was a student of mine at Camborne School of Mines (CSM). 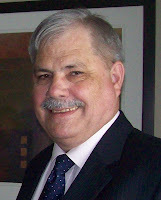 He graduated with a Higher National Diploma (HND) in 1986, as did John Webster 5 years later. This morning's sessions dealt with hydrocyclones, dense medium cyclones, air and hydraulic classifiers and screening. We had our only 'no-show' this morning, leading to the cancellation of our last paper, from India. A big problem with all conferences is with authors who, after having had their papers accepted for presentation, and confirming their attendance, fail to show. Just over a week ago no less than 7 papers were withdrawn from the programme and the Proceedings, as the authors either had better things to do, or just did not bother to register. Of these, 6 were from India, with 5 papers withdrawn from a single company, Tata Steel. Amanda closed the technical sessions just before lunch, after which 30 of us made the 12 mile trip by coach to the 19th Century Basset Mines near Redruth, the 'birthplace of modern mining'. This has been a most enjoyable conference and it has been good to welcome many new, friendly people to the MEI Conferences fold. The next Physical Separation is scheduled for Falmouth again in June 2013. Details will soon be available on MEI Online. 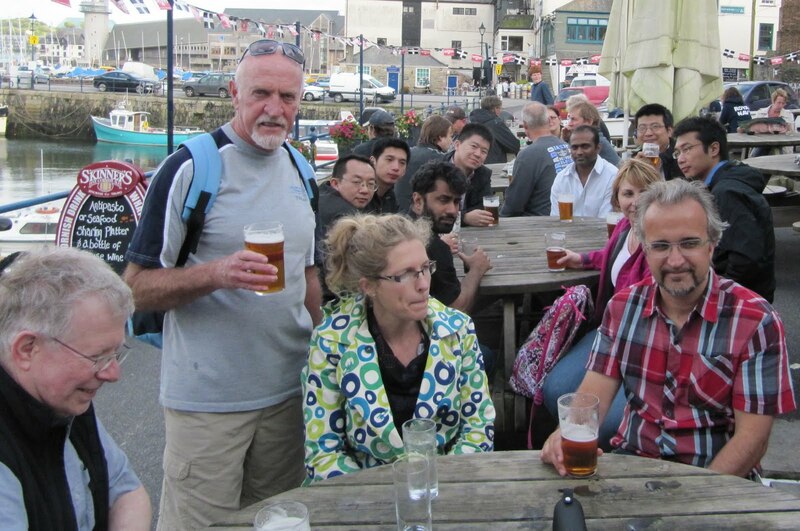 Computational Modelling '11 was held in Falmouth, UK, from June 21st to 22nd 2011. Below is my diary of events, which I hope will be supplemented by comments from delegates. I opened the conference this morning, thanking our sponsor DEM Solutions, and then introduced the delegates to Cornwall, this unique part of England. This is the 3rd MEI Computational Modelling conference, the previous two being held in Cape Town, but the number of participants has always been roughly the same. Because of its highly specialised nature, this will always be a small, but highly focused event, attended by highly motivated specialists. This year we have 41 delegates, representing 12 countries: UK (11), Australia (8), Sweden (6 ), Brazil (4), South Africa (3), Chile and USA two each, and one each from Germany, France, Canada, Japan and Norway. As my knowledge of computational modelling is virtually zero, we have been fortunate to have had the help of our consultant, Dr. Stephen Neethling, of Imperial College, UK, who introduced this morning's technical sessions. My lack of knowledge will be reflected in this diary, which will mainly be about people. I highlighted in this morning's opening that conferences are very much about people as well as papers, which is why our coffee and lunch breaks are longer than at many conferences. Things have certainly moved on- when I was at Camborne School of Mines, almost 20 years ago, I dabbled in the ancient art of modelling. This was relatively simple empirical modelling, computers in those days limiting the extensive use of fundamental modelling of complex systems. As Stephen pointed out in his opening remarks, very complex systems can now be tackled directly, the complexity often presenting exciting challenges, which modern computers can accommodate. So the next few days should provide state of the art case studies, and I welcome comments from delegates to help compose an archival report on the event. Abstracts of all the papers can be viewed here. Things have moved on in other ways too. It is not too long since presentations were made via 35mm and overhead slides, but today a first for us, when Stephen Neething presented his paper "Modelling multi-phase through packed beds and heaps using Smooth Particle Hydrodynamics" using 3-D animations! Maybe holograms in 2-years' time? There were 11 presentations today, focusing mainly on DEM and CFD. Prof. Aibing Yu's strong team from the University of New South Wales presented 4 papers, and there were also 4 presentations from the Imperial College team, also here in force. There are also 12 posters, which will be displayed for the conference duration. 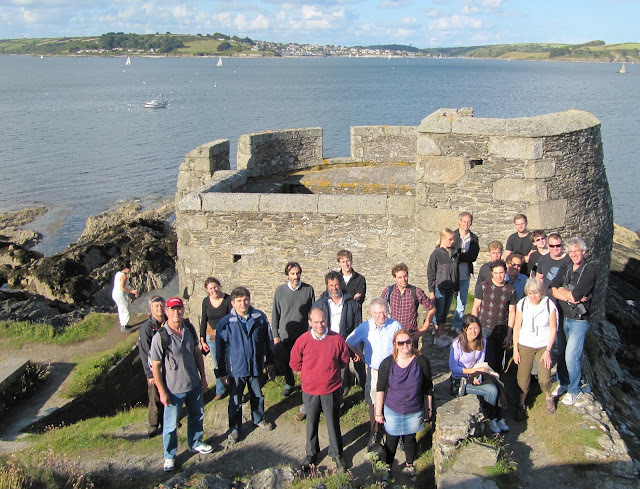 The coastal path walk, a feature of all Falmouth MEI confences, was a perfect way to unwind after such an intensive day, and also to get to know each other better. 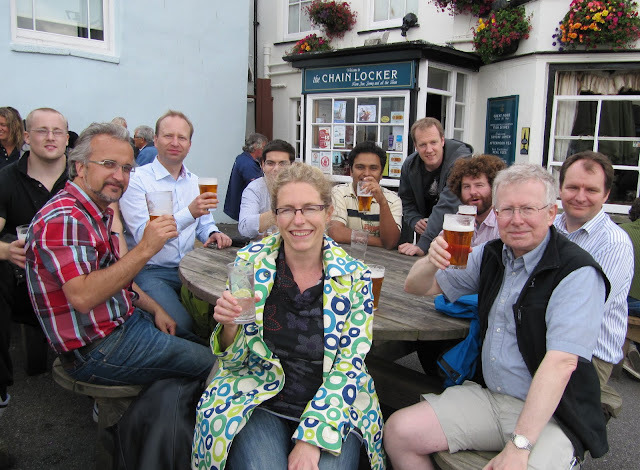 The weather, which has been inclement recently, was kind to us, and over half the delegates took part on the 5 mile walk, which ended with welcome local beer at the old Chain Locker pub overlooking one of the quays. Another full day today with 12 presentations. One of these was given by Dr. John Favier, of DEM Solutions, who has sponsored this, and the previous two computational modelling conferences held in Cape Town. 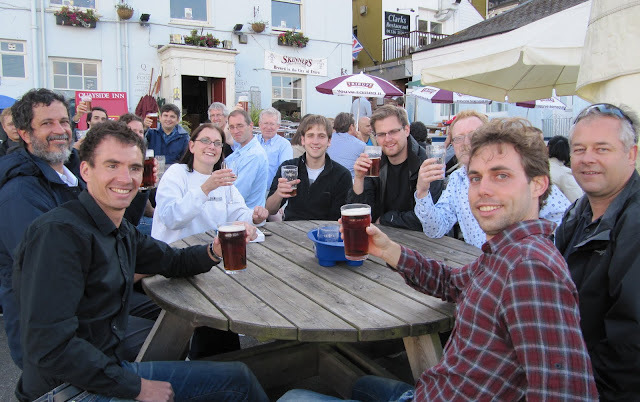 John asked the question "Is this the end of an era for empirical based modelling?" Designers and operators of bulk minerals handling and processing equipment, such as transport and feed conveyors, conveyor transfer points, crushers, screens and mills have traditionally had to rely on empirical methods and field experience for design and troubleshooting. Empirical methods limit the options for engineers to improve the performance of equipment relative to the properties of the bulk material, and variation in operating conditions. Process optimisation is very often difficult and laborious using such methods while over-dependence on the use of design rules constrains design innovation. There are now alternatives based on computational modelling that offer a more powerful, and flexible toolkit for engineers to increase the performance and reliability of their equipment. John discussed some of the computational modelling technologies that are beginning to replace empirical methods as the default tools used by engineers designing and troubleshooting minerals handling and processing equipment. In particular, he looked at the requirements for deploying DEM simulation tools in the design and optimisation of bulk materials handling and comminution equipment and the benefits being realised by practitioners in the industry. His talk was supplemented by some excellent presentations this morning on the role of DEM in a variety of unit operations, such as sorting and comminution. 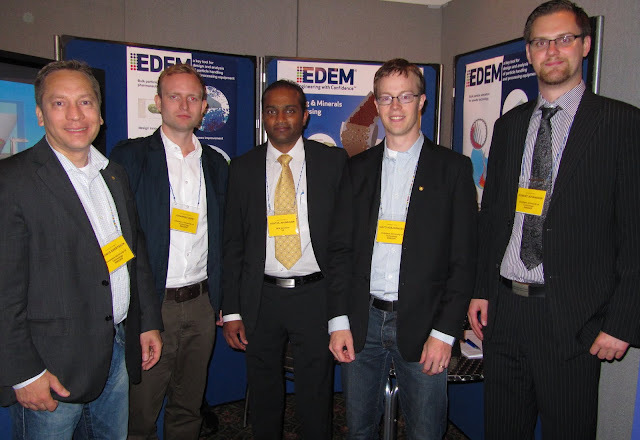 DEM Solutions' EDEM is the world's leading DEM-based simulation software technology for optimising bulk materials handling and processing operations. The company was also represented at the conference by Senthil Arumugam, who is the sales manager for academic markets. The EDEM Academic Partner Program offers access to EDEM simulation technology with products designed for use in research and teaching. 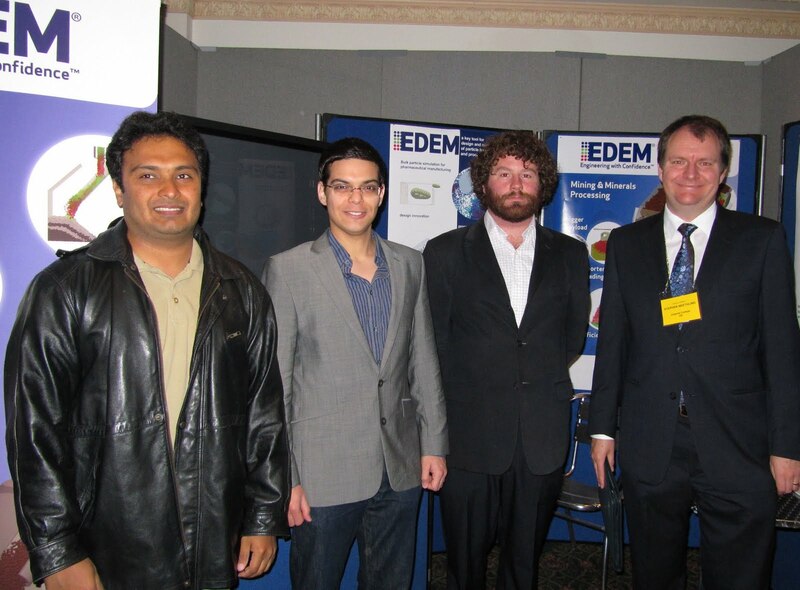 Of particular interest is EDEM Classroom, a fully functional version of EDEM Academic, tailored for student needs, and allowing them to learn the fundamentals of particle mechanics and gain hands-on experience with the software and methods used by industry to solve bulk materials handling and processing problems. EDEM Academic is currently being used in over 150 academic and research centres around the globe, including Chalmers University, Sweden, Lulea University, Sweden, the University of Exeter, UK, and Australia's University of Wollongong, all represented at the conference. At the end of the afternoon session, which featured papers on the modelling of heap leaching, Stephen Neethling summarised the last two days, which has highlighted the rapid devlopments in computational modelling, and its application to mineral processing operations. Amanda then announced that the next computational modelling conference will be held in 2 years' time, in Falmouth again. 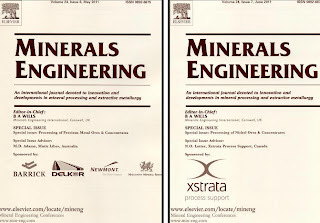 A future product of Computational Modelling '11 will be a special issue of Minerals Engineering, and I thank our consultant, Stephen Neething, for agreeing to act as advisor to this issue. 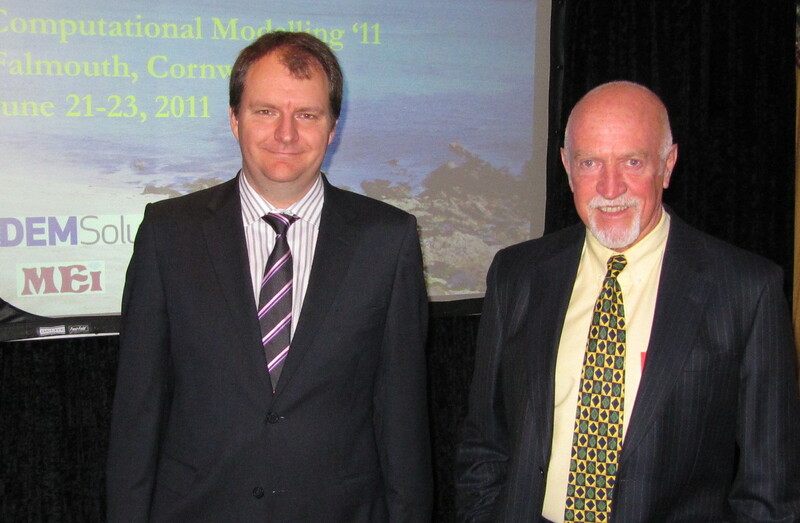 A very successful Computational Modelling '11 ended this afternoon. After saying au revoir to the delegates, the wine reception for Physical Separation '11, which starts tomorrow, commenced. My conference diary for Computational Modelling will be on tomorrow's blog, and Physical Separation '11 during the weekend. According to the US Geological Survey, lithium battery production in 2008 represented 70% of the total rechargeable battery market, and the use of lithium for batteries has been increasing by more than 20% per year. The use of lithium-ion batteries in electric vehicles could see further significant increases in lithium production. Forecasts indicate that the demand for lithium in the next five years is expected to increase by approximately 60% from 102,000t to 162,00t of lithium carbonate or equivalent, with batteries representing more than 40,000t of the perceived growth (as reported by Siame and Pascoe at SRCR ’11). So the future looks good for lithium. Or does it? I have always thought that politicians adopt green policies with little real thought, or scientific backing. (see posting of 10th May). In 2010 world CO2 emissions increased by nearly 6%, China contributing 25% and the USA 13%. The UK contributes only about 2%, yet the Energy & Climate Change Secretary, Chris Huhne, has committed to a target of 30% of electricity generation from renewables (currently 7%), mainly via inefficient wind power, and of course, electric cars. The Committee on Climate Change, the government watchdog, has called for an increase in electric cars on Britain’s roads from the current few hundred to 1.7 million by 2020, and the Department of Transport is spending £43 miliion over the next year, giving grants of £5000 to buyers of such cars. 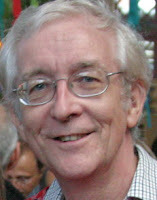 However, a study by the Low Carbon Vehicle Partnership (LCVP), jointly funded by the government and the car industry, has found that electric cars could produce higher emissions over their lifetimes than petrol equivalents, because of the energy consumed in making their batteries (Ben Webster, The Times, 10th June 2011). The study showed that an electric car would have to travel at least 80,000 miles before producing a net saving in CO2. Even those travelling 100,000 miles would save only about a tonne of CO2 over their lifetimes. Emissions from manufacturing electric cars are at least 50% higher than with conventional cars, as the batteries are made from lithium, copper and refined silicon, which require a great deal of energy to process. Many electric cars will need a second battery in their lifetime, and once the emissions from producing this are added, the total CO2 from producing an electric car rises to 12.6 tonnes, compared with 5.6 tonnes for a petrol car. The study also took into account carbon emitted in generating the grid electricity consumed. Greg Archer, the director of LCVP stated that the industry should state the full lifecycle emissions of cars, rather than just tailpipe emissions, to avoid misleading consumers. He concluded that drivers wanting to reduce emissions could be better off buying a small, efficient petrol or diesel car. Food for thought for SRCR ’13. It was evident from last month's ALTA conference in Perth that biohydrometallurgy plays only a small role in hydrometallurgical operations. Of the 71 papers presented at the conference only 5 were bio-related and the majority of the delegates expressed little interest in bioprocessing, particularly in microbiology technology designed to produce new strains of bacteria. In fact, at last year's ALTA conference it was noted that only two of Western Australia's 1032 operations involved bioleaching. Nevertheless, biohydrometallurgy worldwide is increasing in importance, particularly in the treatment of refractory ores, and it is essential that scientists and practitioners in this field have the opportunity to meet and discuss developments in their specialist discipline. MEI's series of Bio and Hydrometallurgy conferences have to some extent failed to provide this focus, the conferences being a hybrid of bioprocessing and the traditional pure hydrometallurgical techniques. 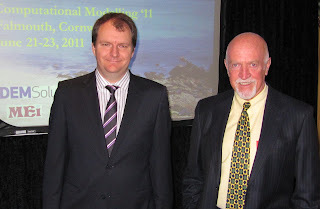 I had a meeting in Perth with biohydrometallurgist Dr. Chris Bryan of Curtin University, and formerly of the University of Cape Town, who presented work at BioHydromet '10 in Cape Town. We formally agreed that he would act as a consultant to our next biohydrometallurgy conference, which will be held in Falmouth next year. He will work in close conjunction with Prof. Sue Harrison, of the University of Cape Town, our present consultant, and Dr. Patrick D'Hughes, a microbiologist with BRGM in France, to advise MEI on the development of Biohydrometallurgy '12, which will focus solely on the development and application of biohydrometallurgy in the minerals industry. Non- biological hydrometallurgical processes, such as those used to treat nickel laterites and gold ores, will be accommodated in other MEI conferences, such as the back-to-back Precious Metals '12 and Nickel Processing '12, which will be held in Cape Town at the end of next year. Full details of the scope of Biohydromet '12 can be found here. What is modern society's most important technological development? Peer review. Is it outdated? Whether or not flotation is modern society’s most important technological development (posting of 6th June), it is certainly the area of mineral processing which attracts the most interest. November’s Flotation ’11 looks like being the biggest yet, with 15 major sponsors already weighing in with their support. The four-day Flotation ’11, split into two symposia, fundamentals and applications, is just part of a whole week of intensive flotation at Cape Town’s Vineyard Hotel. Immediately prior to the conference, Australia’s JKTech will be running two of their short courses. 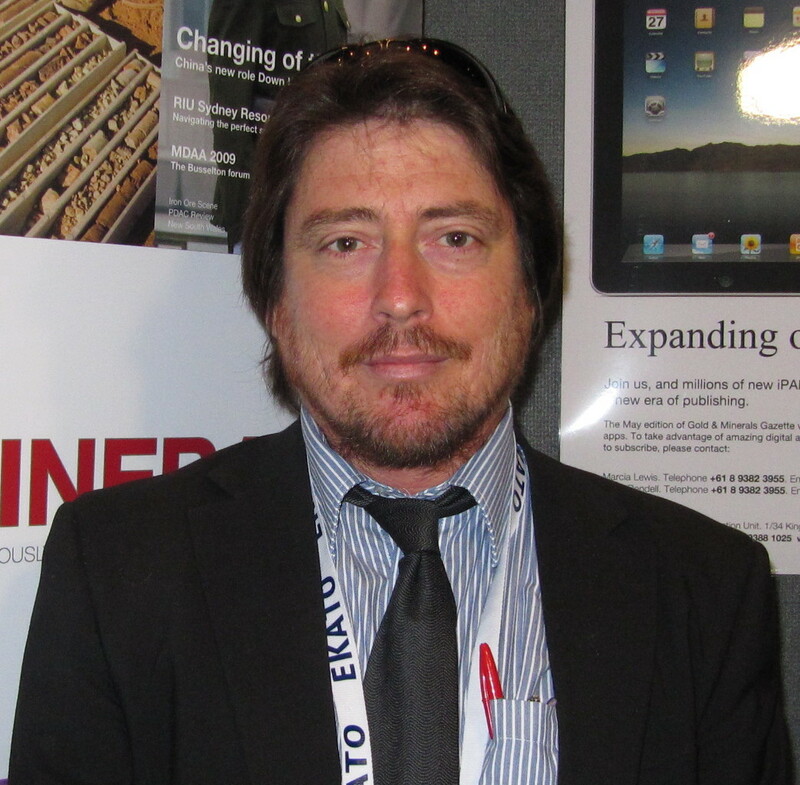 On Friday 11th and Saturday 12th November, Dr. Norman Lotter, Manager of Business Development at Xstrata Process Support, Canada, will present “Useful Information for Sampling Mineral Processing Plants”. The specific objective will be to introduce aspects of Pierre Gy’s sampling theory and the methods used in surveying operating concentrators. This will be followed, on Sunday 13th November by “Flotation Process Optimisation” with the JKTech’s Dr. Sarah Schwarz and Dr. David Collins. This workshop is designed for metallurgists and other plant personnel who are interested in operating their flotation circuits to obtain the best metallurgical performance. 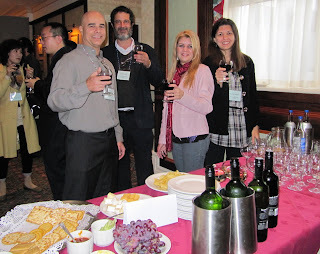 The end of the course will coincide with the start of the pre-registration wine reception for the Flotation ’11 conference. 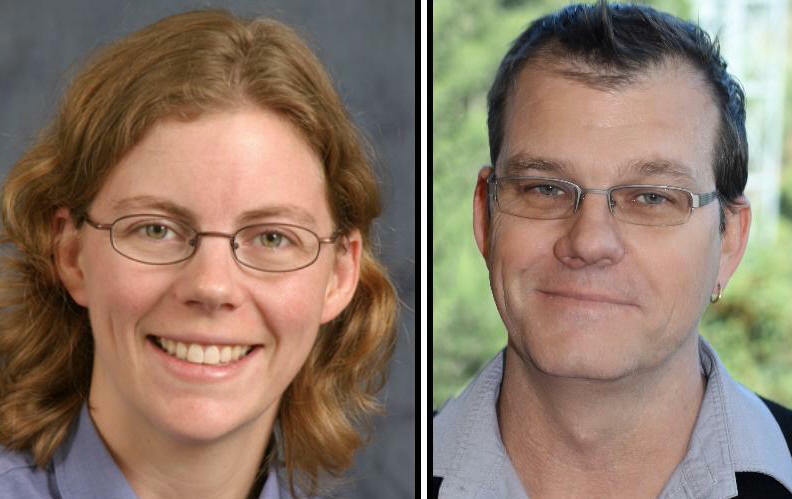 Flotation ’11 includes two keynote speakers, Prof. Jim Finch, of McGill University, Canada, and Dr. Dan Alexander, Director of the JKMRC. The conference dinner will be held on the evening of Tuesday 15th November, at the GOLD restaurant in the centre of Cape Town. Immediately following the conference, on Friday 18th November, Prof. Tim Napier-Munn, former JKMRC Director, will present a one-day short course “Useful Statistical Methods for Flotation Engineers”. Success in optimising plants depends critically on collecting and analysing the data in the right way. This workshop presents the key principles of experimental design and data analysis, with particular reference to flotation processes. Full details of the courses, details of fees, and registration forms are available at the JKTech website. 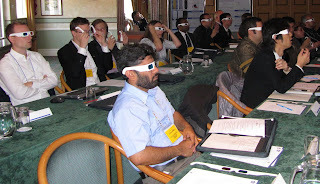 There is a final call for abstracts for Flotation ’11, the deadline being the end of this month. Registration at the moment is open for exhibitors only. Physical Separation ’11 is now less than 2 weeks away, so yesterday I did my annual survey of the paths around the Basset mines, in the Camborne-Redruth district, in preparation for the mine tour. This desolate area of Cornwall is a wilderness of gorse and crumbling mine buildings, and each year new paths have to be found as the old ones succumb to nature and the mine buildings slowly erode. The surviving buildings of the Basset Mines cannot be matched anywhere in the world as a historic mining landscape, and in this area it is possible to appreciate the scale and extent of a large and successful 19th Century mine. Mining in this area dates back a long way, those mines on the tour starting as shallow copper workings in the late 18th/early 19th century. By the 1830s mergers resulted in fewer, larger mines which adopted the newly developed steam engines to pump water from the ever deepening workings. 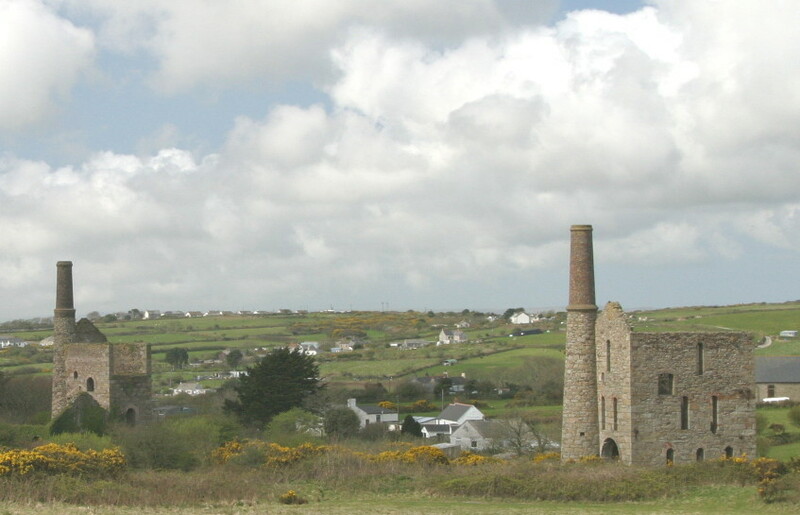 There are many classic examples of the iconic Cornish engine houses in this area. As the mines went deeper, copper ran out, and tin was discovered at depth, which superseded copper completely by about 1880. The rich deep tin orebody is known as the ‘Great Flat Lode’ due to its shallow angle of dip. The three mines on the conference tour, South Wheal Frances, West Wheal Basset and Wheal Basset, were merged in 1896 as Basset Mines Ltd, one of the largest companies of its kind in the world. Unfortunately, due to falling grade, and the discovery of vast quantities of alluvial tin in S.E. Asia, the venture came to an end in December 1918. Marriott’s Shaft is where the conference tour commences. This is the most modern section of the Basset Mines, being constructed in 1898-1900, and housing a huge pumping engine house, a winding engine house, a compressor house for underground rock drills and a massive boiler house, which serviced the whole site. 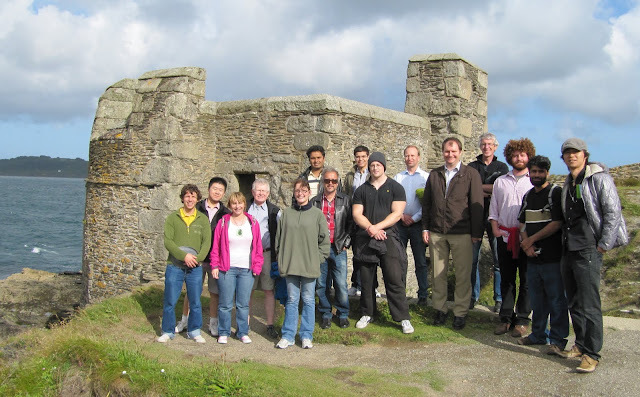 Marriott’s Shaft lies on a well defined walking trail, known as the Great Flat Lode Trail and from here we have a 1-mile walk to Wheal Basset and West Wheal Basset, set on the slopes of Carn Brea, overlooking Carnkie Village. The area around Marriott’s Shaft was too flat for efficient ore-dressing, so the mined ore was transported via tramways to the dressing floors. Although Wheal Basset is on the defined trail, the more interesting West Wheal Basset is not, and hence my annual pilgrimage to assess the state of the narrow, and ill-defined paths. It is worth the effort though, as this building houses probably the finest archaeological ruins in Cornwall, with the remains of stamp batteries, vanners and buddles, and a Brunton Calciner and its associated arsenic labrynth. Each year it becomes more overgrown and many of the buddle foundations are fast disappearing, so let’s enjoy it while we can. 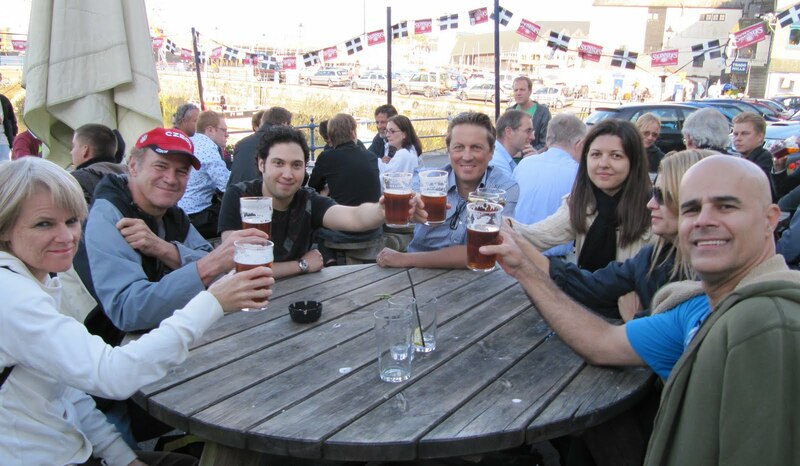 Precious Metals '10 and Nickel Processing '10 were held back to back in Falmouth last year. 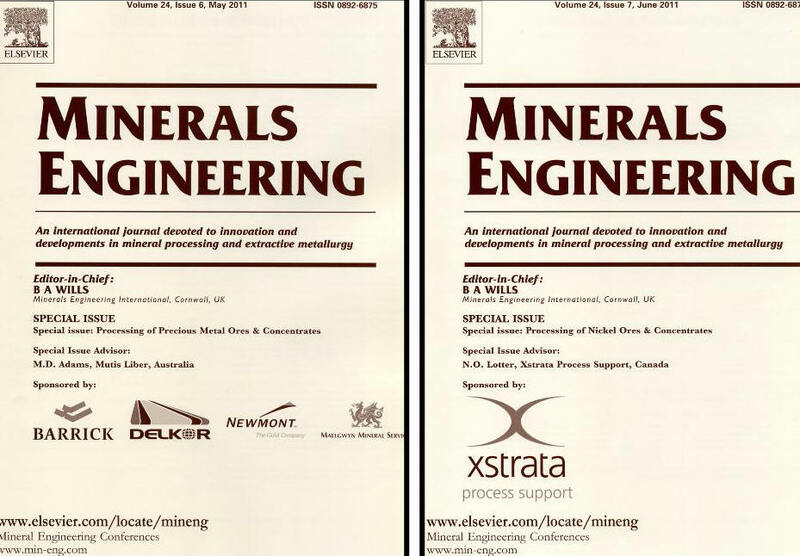 Selected papers from the events have now been published in special issues of Minerals Engineering, and are also available on ScienceDirect. The Precious Metals issue (Volume 24 Issue 6) contains 15 selected papers, and the Nickel Processing issue (Volume 24 Issue 7) 11 selected papers. The Proceedings of the conferences, containing unrefereed papers, are available from MEI. Details of the Precious Metals CD and the Nickel Processing CD can be found on MEI Online. The next conferences in the series, Precious Metals '12 and Nickel Processing '12, will be held back to back again, in Cape Town, in November 2012. Mark Fraser, editor of Australia's Gold & Minerals Gazette, asked me, at last month's ALTA conference. what I thought was the most important recent development in mineral processing. I gave him my views, but thought I might extend the question to what is the most important technological development since the industrial revolution? I have put this question to many people, scientists and non-scientists, and the answers are in general as expected- splitting the atom, electricity, genetics, computers etc. But modern society, in common with all societies since ancient times, is dependent for its survival on metals, particularly iron, and the base metals, copper, nickel, zinc etc. These metals feed all other industries, which could not survive without a plentiful, relatively cheap supply. The ores of the base metals are low grade and often complex, and without a reliable and efficient method of concentration, production of the metals would be enormously expensive and maybe prohibitive. That is why my nomination for the most important technological development goes to froth flotation. Patented in 1906 by Elmore, it really took off in the 1920s with the discovery that xanthates could make the process highly selective to sulphides. Since then, with the development of even more selective reagents, inclding activators and depressants, it has become ubiquitous, being used not only to treat base metal ores, but also precious metals, industrial minerals and coal, all essentials to modern society. The most important discovery prior to flotation? Maybe smelting, but that's another story. 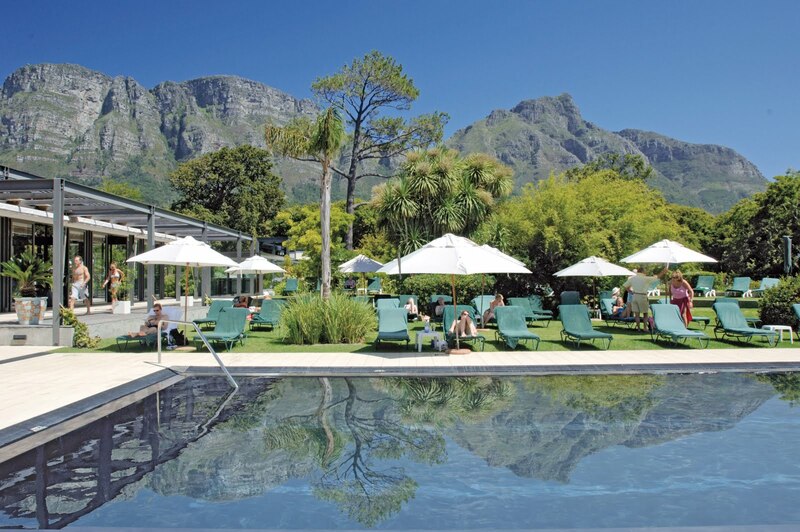 Flotation ’11 is set to be the biggest in MEI’s biennial series of flotation conferences, held at the Vineyard Hotel in Cape Town. The event comprises two separate symposia, Flotation Fundamentals, and Flotation Applications and Plant Practice. The keynote speaker in the former will be Prof. Jim Finch, of McGill University, Canada, and in the latter Dr. Dan Alexander Director of the JKMRC, Australia. There is now a final call for abstracts, which should be submitted by the end of this month. The Proceedings CD will contain draft, unrefereed papers, and all authors will have the opportunity, after the conference, of submitting final papers for peer-review to a special flotation issue of Minerals Engineering, or to the Journal of the SAIMM. Conference registration is already open for exhibitors, and the current floor plan, with a list of exhibitors, is available. Australia's JKMRC will be running 3 workshops around the conference, and as soon as details are available, they will be published on the blog and MEI Online. Finally, Cape Town is too special a place to fly in and out, so we encourage you to stay on after the conference and explore the beautiful Cape Peninsula. MEI has a cottage available for a week's discounted rental, overlooking the stunning Noordhoek Beach, just outside Cape Town. More details here.